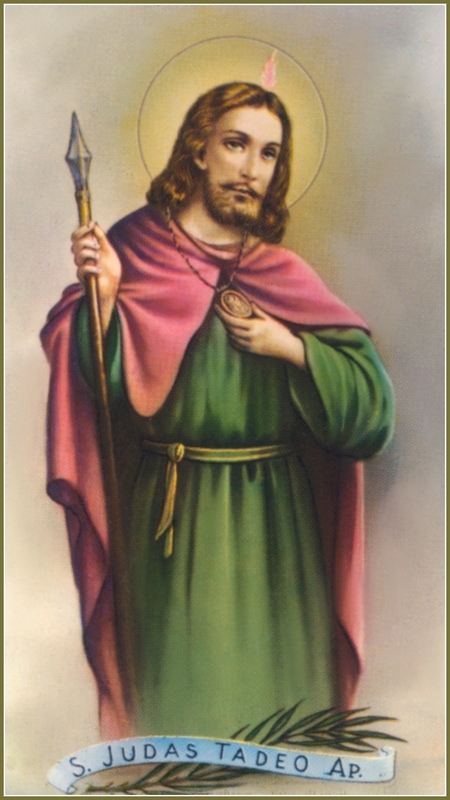 Saint Jude is the patron saint of lost or desperate causes. You pray to Saint Jude when you have nowhere else to turn. You pray to him when you are trying to do the impossible. You pray to him when all the odds are against you. When you need a miracle of sorts. That’s where I am now. That’s why I’m praying to Saint. Jude. In the past, I never would have written about it. My superstitious side would have prevented me. In the past, I would have prayed first then waited for the results of my prayers. If the results were good then might have written something about them. But if the results were displeasing I would have kept silent. When we pray to Saint. Jude, we must publish the results, whether we like them or not. You cannot sit in judgment over them. It is not our place to judge whether Saint Jude has answered our prayers to our satisfaction. When we pray to Saint. Jude, we must publish the results, whether we like them or not. Saint Jude places a special requirement on his devotees. When you pray to him, you are supposed to promise to publish a thank you. There are all sorts of ways to spread the word. In so doing, you inspire others to pray to Saint. Jude. At least that’s the theory. With this post, I am going one step further. I am announcing my novena to St. Jude in advance, before I have even finished it. This is the ninth day of my novena. I have no idea how St. Jude will answer my prayers. Have no way of knowing if he will answer them at all. I do not know if my life will be better or worse when this novena is done. I do not know if my path will be clear or my vertigo and dizziness healed. I am praying for a nine day miracle. I am praying for a turnaround in my health. I am praying that my vertigo and chronic dizziness will be healed now and forever. And I am praying that St. Jude will make crystal clear, by the ninth day of this novena, whether or not he has chosen to grant my petition. Some how have to trust that St. Jude has his own good reasons for doing what he does, even when I don’t understand his reasons. I hope and pray to be healed, but also to not lose faith or hope if that doesn't happen. Thank you Saint Jude. The Saint Jude Novena is provided below. Say this novena nine times in a row, for nine days in a row. Publication of thanks to Saint Jude must be promised.